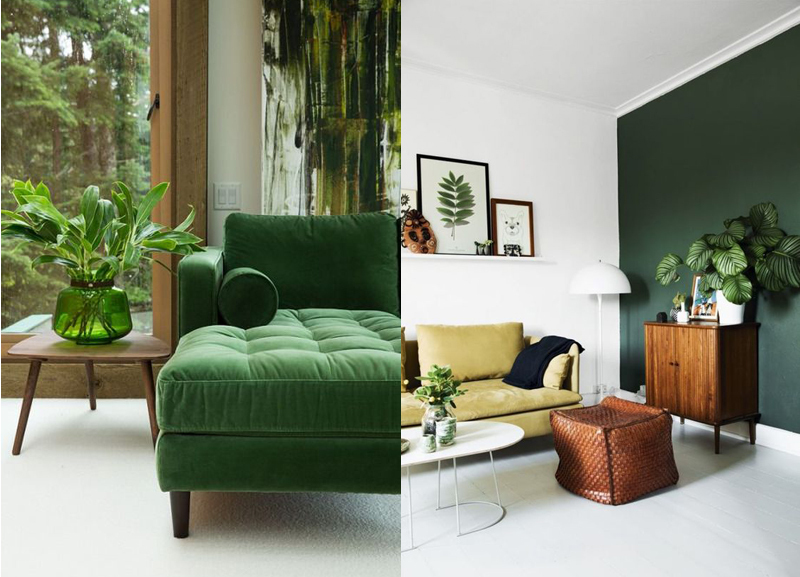 Though Pantone have named the Colour of the Year 2017 as Greenery, a bright and fun colour inspired by the yellow-tinged tropical leaves, it's not the only hue having a moment this year. 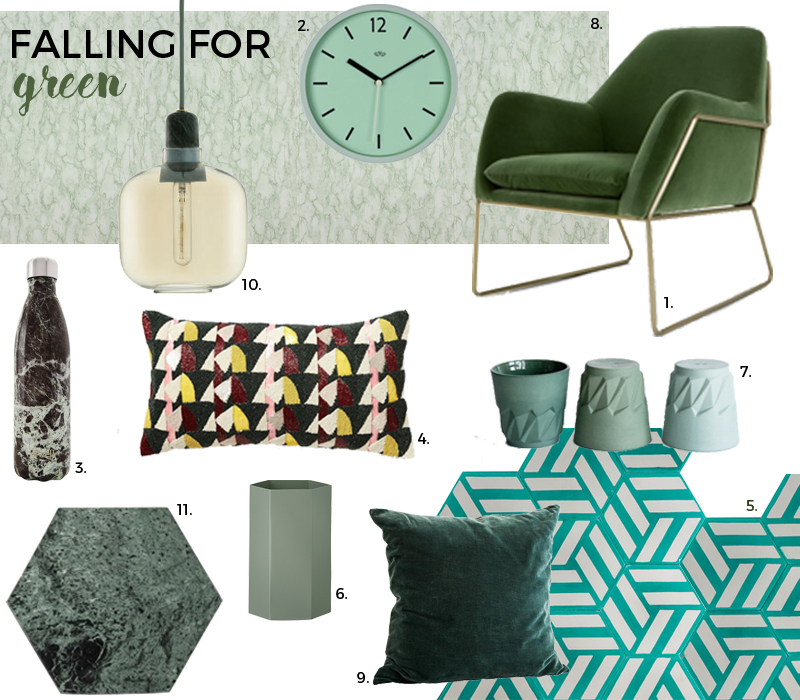 From forest and moss to emerald and bottle, green is definitely one of the key colours to keep your design eyes on this year, and I'm sure it won't be hard to come across either; leafy greens even featured heavily in Gucci's SS17 show and in the catwalk design itself! 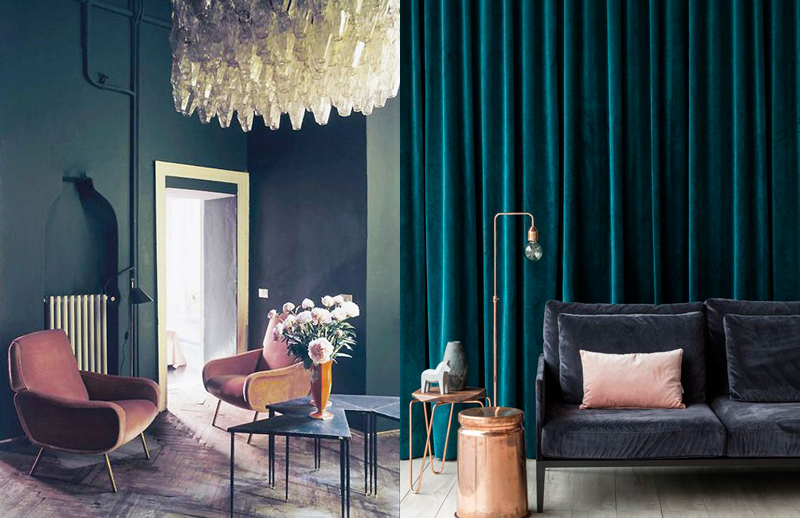 For me, seeing a whole feature on amazing verdant interiors in the latest issue of Living Etc, and a must-have list of velvet green sofas (now featuring highly on my flat saving-up-for list!) 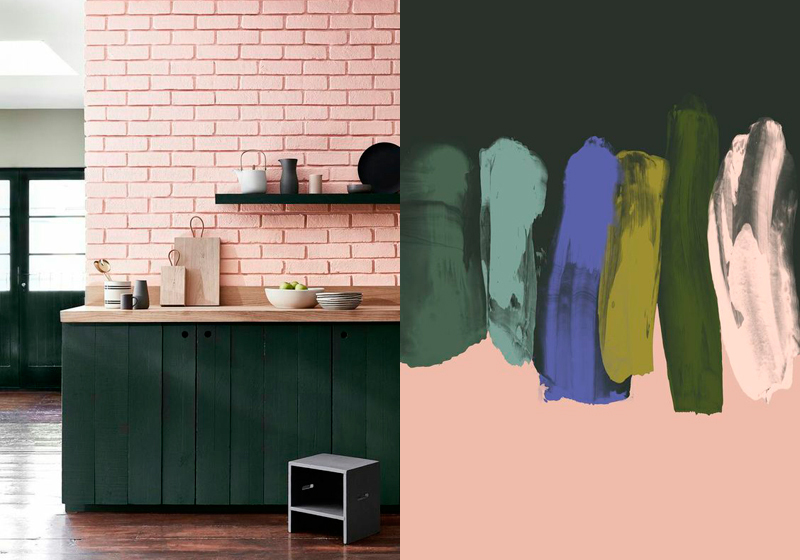 in Elle Decoration, only makes it even more apparent that this year, the spotlight is on green. 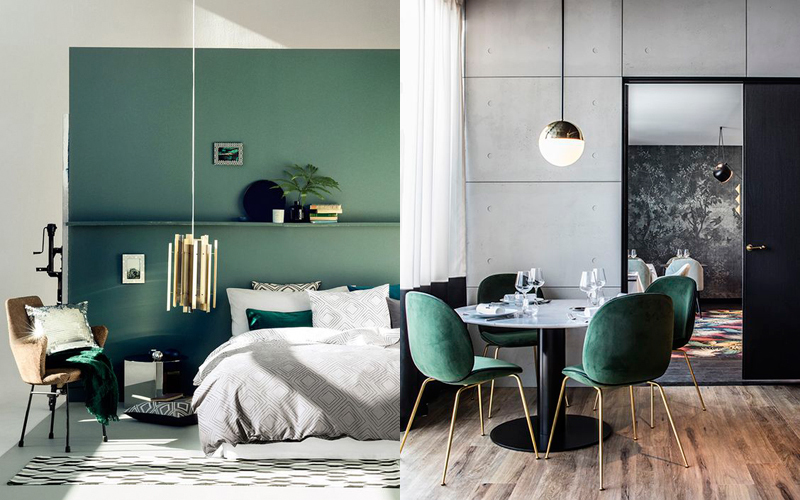 I love that, being such a versatile colour with so many hues to choose from, green really does go with any interior scheme; whether it be luxe and glamorous teamed with rich velvets, statement brass pendants and crystal glass, a scandi-inspired and simpler look of featuring a key furniture piece showcased against a simple monochrome backdrop, or styled with blush tones and a warm metallic to create a much softer inviting scheme which encapsulates all of 2017's key colour trends. 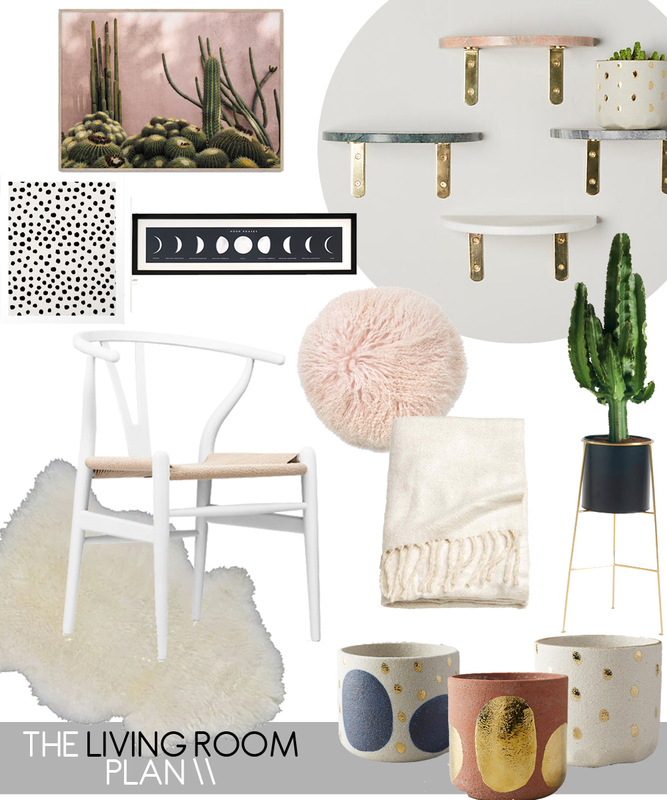 What do you think of Greenery for 2017? 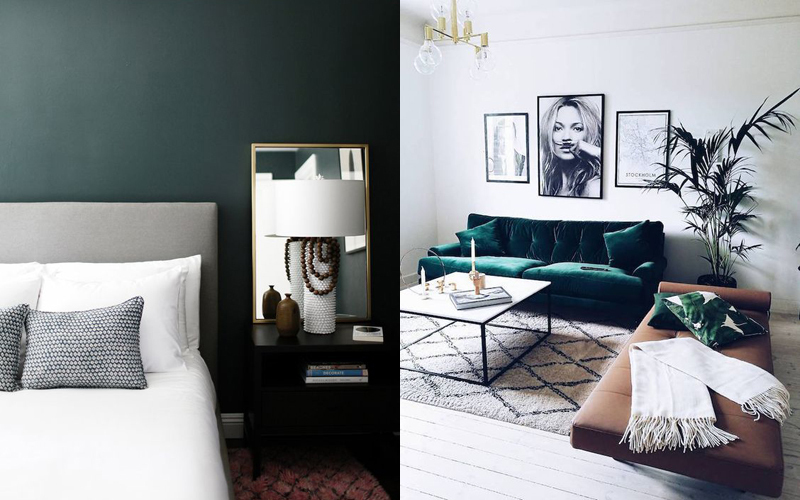 Ready to embrace + fill your home with a range of verdant hues, or still unconvinced?